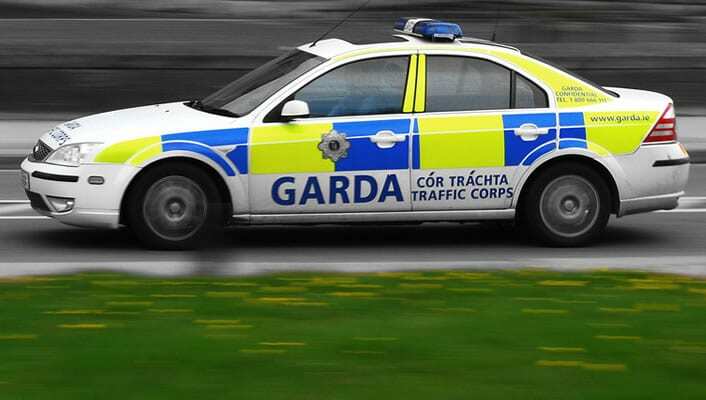 A driver who fled the scene of an accident on the Wolfe Tone bridge in a stolen car led Gardaí on a high speed chase through Galway city before abandoning the car just off the Ballybane road. Shane Joyce (25), who lives on the Bog Road, Lisdoovarna, Co. Clare, pleaded guilty to multiple charges of dangerous driving, as well as hit and run, and operating a vehicle without the consent of its owner. On July 26, Gardaí responded to a call from the victim of a hit and run on the Wolfe Tone Bridge, who was following the other car that drove off. The arresting officer, Garda Diarmuid Cloonan, was not in court for the hearing, but the Sgt. read his evidence out to the court. Garda Cloonan listened to updates over the police band saying that Joyce was fleeing east from the bridge in the direction of GMIT. He parked his patrol car at the Skerritt roundabout until Joyce came speeding down the Dublin road onto the roundabout, narrowly dodging traffic, and turning down the Ballybane road. Garda Cloonan chased him down the Ballybane road, where he saw Joyce overtaking dangerously, and mounting the footpath to avoid traffic. Joyce eventually abandoned the car on a grassy area in an estate just off the Ballybane road, where he was apprehended by Garda Cloonan. Joyce had neither insurance, nor a valid driving licence, at the time of the incident. It was admitted that this was “the height of folly”, but defence insisted that once Joyce was out of the car he was co-operative and candid with gardaí. The car in question, a silver Renault Megane, was reported stolen in Monaghan some time ago. Solicitor for the defence claimed that Joyce did not steal the car himself, but bought off someone else. Joyce declined to tell gardaí or the court whom he bought the car from. It was argued that Joyce had a difficult upbringing, where his step parents separated and left him living with his grandparents, and has been diagnosed with ADHD. Joyce has a total of 37 previous convictions including three for dangerous driving, multiple no insurance charges, eight for burglary, and one for resisting arrest. Joyce also has five convictions he racked up abroad. The court sentenced him to a total of 15 months in prison: six months for driving a car without the consent of the owner, five months consecutive for dangerous driving, an additional three months for not having insurance, and one month for the hit and run. Three additional dangerous driving charges and one for not having a licence each received a one month concurrent sentence. The sentence was backdated to July 27, when he was first taken into custody.